Three passions have inevitably defined the man who stands before us today as the 12th Prime Minister of Ethiopia: his love for education, his desire to become a leader and his aspirations for conflict resolution. The following trails Abiy Ahmed as he rose from a young boy with humble beginnings to become an extremely influential and revolutionizing leader of a proud and economically booming hundred million strong nation. Historically known as Kaffa, the name and place are often associated with the origins of coffee. It is located in the southwestern part of Ethiopia in the Jimma Zone of the Oromia Regional State. It is here in a small rural town with a population of around 5,000 people called Beshasha that Abiy Ahmed was brought into this life. He was born August 15, 1976, a mere two years after the overthrow of the Ethiopian Monarchy and the seizure of power by the Derg military regime. For an outsider passing through, Beshasha looks like a normal rural community with smiling and hospitable people living a life far from the frenzied and hectic way common in the larger cities of Ethiopia. Fortunately for its citizens, the town is endowed with two major agricultural commodities: khat (chat) a mild stimulant and coffee. Oddly enough, even with the resources attained through the sale of these very important products in the Ethiopian economy, Beshasha remains a town with relatively few modern infrastructure. Basic necessities such as roads and electricity are an issue of contention within the town, as they have yet to receive the full attention from the relevant government authorities. Only 17 km from Beshasha is the town of Agaro (497 km from Addis Ababa) which is slightly larger and offers more opportunities for the youth. Most young men from Beshasha aspire to open a business in the nearby town of Agaro and become the next rich and successful coffee trader. 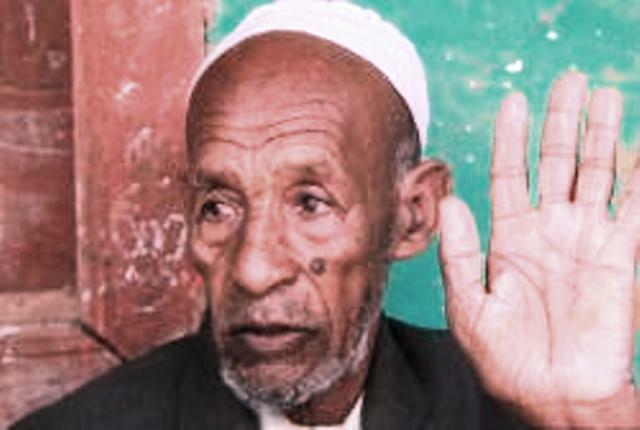 Ahmed Ali, the father of Abiy Ahmed is an Oromo Muslim, now in his 80’s and an important and respected member of the Beshasha community. According to various reliable sources, Ahmed Ali who also goes by the names of Aba Dabes and Aba Fita has countless times helped the town in its times of need. He has even gone as far as donating his own land for crucial services needed by the community such as telecommunication, medical, and educational facilities. Aba Fita had four wives and sired thirteen children, with Abiy being the youngest and born to Aba’s fourth wife Tezeta Wolde. Abiy Ahmed’s mother Tezeta, an ethnic Amhara, who is no longer living, was born in Oromia’s Burayu, an area located in the once hotly contested Addis Ababa Special Zone. She was a converted Christian and had six children with Abiy Ahmed’s father. 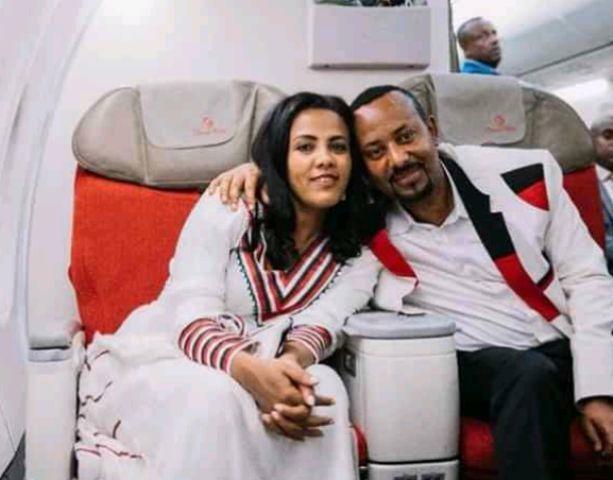 Abiy has stated time and time again how influential his beloved mother was throughout his childhood and they obviously shared a close and fruitful relationship. Within this context, Abiy was exposed to two of Ethiopia’s major religions at a very young age with a Muslim father and a Christian mother. According to Ahmed Ali, his father, Abiy was prone to take to studying religious books such as the Koran and unlike others his age; he was mainly focused on reading and learning new things by keeping the company of those older than him. Abiy Ahmed's eldest sister Tiruye Ahmed, recalls how Abiy was a role model to his friends and was always encouraging them to take studying and learning seriously. She goes on to state that, while the other children had common dreams such as moving to Agaro to become rich coffee traders, Abiy had no such inclination. 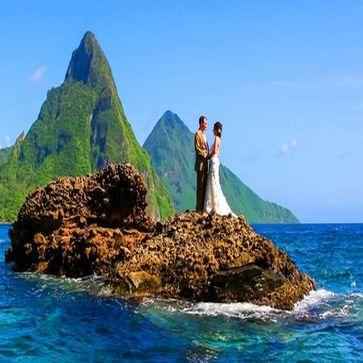 He continued his pursuit of enlightenment by enrolling at Beshasha Primary School, where he began his formal education. Abiy studied there till the 6th grade and left to continue with his schooling in the nearby town of Agaro and their secondary schools. Abiy Ahmed’s teenage years were filled with turmoil as the country was at war and the majority of the people were discontented and looking for a way out. The Derg regime still in power was being fought tooth and nail by the now called EPRDF or Ethiopian People’s Revolutionary Democratic Front, which had member groups such as the OLF (Oromo Liberation Front), TPLF (Tigrayan People’s Liberation Front) and the now called ANDM (Amhara National Democratic Movement). At the time, Abiy’s town of Agaro was considered an OLF stronghold in which the group enjoyed majority support. Unfortunately, the political climate at the time was in dire straits and Abiy’s father Ahmed Ali along with his first son Kedir Ahmed was incarcerated for a period of time. While Abiy’s father was released soon after, regrettably his brother Kedir was killed in an obvious politically motivated assassination. It is believed that the loss of his brother shook him to his core causing him to reevaluate the path his life was taking. Soon after, just short of his fifteenth birthday and only a few months before the ousting of the Derg dictatorship, Abiy Ahmed often referred to as “Abyot” or revolution, took to the struggle through political and militaristic means. In 1991, the OPDO or the Oromo People’s Democratic Organization gained prominence largely due to the violent disagreements between the EPRDF and the OLF. The OPDO was seen by some as a peaceful alternative and this is more than likely the reason why Abiy Ahmed chose to join them at such a young age. Some might say he was looking for a way to end the violence and find peaceful methods of resolving the conflicts plaguing the country. 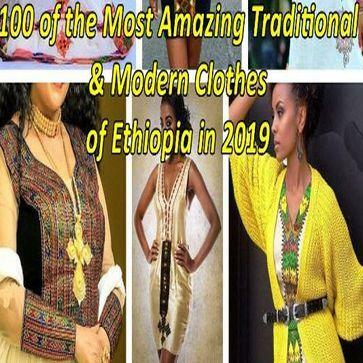 One of Abiy’s close friends became the personal chauffer of Abadula Gemeda, one of the founders of the OPDO, and through this opportunity, it is believed they first crossed paths. 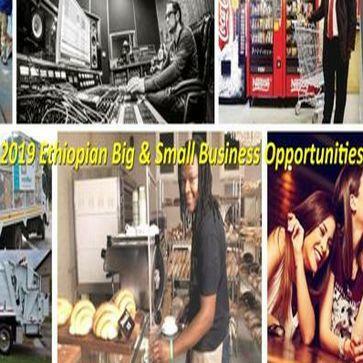 It appears that Abiy began his career as a radio operator for the OPDO and with the downfall of the Derg he took formal military training at the Assefa Brigade in Western Wollega with a focus on Radio Communications and Military Intelligence. The OPDO at the time was made up of a very small number of soldiers and members, somewhere around only 200, while the TPLF had soldiers upwards of 90,000 men and the rest of the coalition making up the remaining 10,000. In order for Abiy to advance in his career within the military it was a strategic move by him to study Tigrigna, as the new Ethiopian Defense Forces were largely made up of the TPLF fighters. By 1995, undoubtedly, he impressed his superiors with his above average dedication to learning and he was seen fit enough to be sent to Rwanda on an important mission. Rwanda at the time was reeling from a devastating genocide that saw the massacre of close to a million people. The genocide caused by the Hutus against the Tutsis must have been a valuable lesson for Abiy, it showed how neighbors, classmates, and coworkers can turn on each other with a message other than love being disseminated. He spent the next few years as a peace keeping officer for the UN force in Kigali, Rwanda. By 1998, soon after his return to Ethiopia, he was deployed to aid his country in the Ethio-Eritrea border war. He was put in charge of an intelligence and communications unit that’s mission was to observe, analyze, detect, and report positions of the Eritrean military. A stalemate followed the war with Eritrea, and in 2001 Abiy while still serving in the army received a Bachelor’s degree in Computer Engineering from a well known private IT college in Addis Ababa, called Microlink. Abiy followed his first degree swiftly with a post-graduate certificate in 2005 from a South African school called Machihe Dynamics in Cryptography (focusing on AES encryption based block cipher). While serving in the army, Abiy met his wife Zinash Tayachew and they went on to have three daughters together. Zinash, a native of Gonder was at the time part of a military band and to this day she is believed to have a very nice voice, as she can still be heard singing Pentecostal religious songs. By 2008, Abiy decided it was time for him to expand his horizons and he left the Ethiopian Defense Forces as a Major, although it is also claimed he reached the rank of Lieutenant Colonel. Due to his extensive experience in information technology and radio communications, he was selected to be among the founders of INSA or the Information and National Security Agency. The agency’s directive was to safeguard Ethiopia’s cyberspace, build the country’s cyber power and to provide intelligence concerning national interest. According to many sources, Abiy was instrumental in building the agency to what it is today; a powerhouse for anything dealing with the Ethiopian cyberspace. He achieved this by working in various positions culminating in the position of acting Director General of INSA. 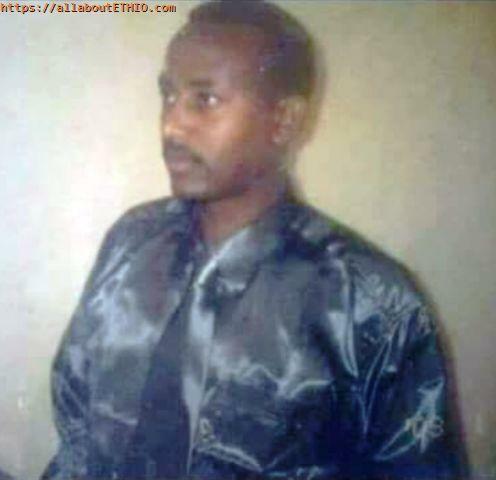 He served in this position till 2010, while Brigadier General Teklebirhan Woldearegay the Director General studied abroad. While at INSA, a tragedy took place in Abiy’s hometown of Beshasha, when in 2006 a group of Orthodox Christians were butchered by religious fanatics of the Muslim faith. Years passed with no solution till finally, in 2010, to resolve the conflict, federal authorities chose Abiy Ahmed then 34 years old, to represent them and bring peace and reconciliation to the area. He was very active in his efforts to address the inter-religious conflict and he eventually restored calm to the inhabitants of his hometown. This experience undoubtedly influenced his decision to engage in active political life, and in 2010, the same year as the conflict resolution effort, he was chosen as a parliamentarian representing the Agaro Woreda. As a member of the Ethiopian House of Representatives, Abiy put his interest in technology to the back burner as he focused mainly on the solving of the many inter-religious conflicts, as well as, attempting various schemes to attract investors, all within the Jimma zone. Ethiopian parliamentarians are often criticized as being ineffectual “yes” men, but Abiy, according to various reports was always cornering ministers to become more effective in their service to the people. By 2011, Abiy while juggling work as a parliamentarian he received a Masters of Art in Transformational Leadership and Change from London based Greenwich. While still representing Agaro Woreda in the House of Representatives, in 2013 Abiy received yet another degree in the form of a Masters of Business Administration from Leadstar College of Management and Leadership in Addis Ababa. By 2014, in a rapid succession of degrees and a flurry of activities involving his job as a parliamentarian, Abiy added to this by becoming the Director General of a government funded research institute named the Science and Technology Information Center. A year later in 2015, it was crystal clear, that Abiy Ahmed was unstoppable in his rise through the ranks of Ethiopian politics. In this same year, he was reelected to parliament, this time for Gomma Woreda, he became an executive member of OPDO, and he also was made Ethiopian Minister of Science and Technology. Once again working with his core interest of technology, Abiy Ahmed during his brief 12 month tenure within the ministry was instrumental in restructuring and improving the efficiency of the Ethiopian Space Science Society later renamed the Ethiopian Aerospace Institute. In 2016, Abiy’s unstoppable rise to power continued as he was made Deputy President of the Oromia Region under Lemma Megersa the president. Still serving as a member of the House of Representatives, Abiy was also given the job of leading the Oromia Urban Development and Planning Office. It was through this role that Abiy became closely associated with the issue that would eventually catapult him to the Prime Minister’s Office. Land grabbing from Oromo’s was deemed necessary by the then federal government in order to implement the plans to create the Addis Ababa Special Zone. This zone was meant to relieve the overcrowding of the capital city by taking land from Oromo farmers in the surrounding environs. While initially, most Oromos remained silent, there was an undercurrent of discontent brewing and it was obvious all that was needed was a spark. This spark came in the form of a protest in Ginchi, a small rural town, two hours west of Addis Ababa. In 2015, groups of young men also known as “qeerroo” went to the streets and protested the land grabbing from a local school. In an unusual move by the government, after a couple of days of demonstrations the ruling to give the school’s land to a private investor was annulled. Upon hearing of their victory in Ginchi, more and more emboldened Oromos began taking to the streets all over the nation, demanding an end to the land grabbing. The Amharas the second largest ethnic group behind the Oromos followed suit and began their own protests and dissent, to the elation of the “qeerroos”. The land grabbing protests inevitably shifted towards a demand for political reform with relatively no solution in sight. While embroiled in trying to resolve the tensions, in 2017, Abiy received his PhD as a Doctor of Philosophy from the Institute for Peace and Security Studies at Addis Ababa University. His PhD thesis was based on the religious conflict that took part in the Jimma Zone and he also published research articles on de-escalation strategies focused on countering violent extremism. In the same year, Abiy became the head of the the OPDO Secretariat, a role which gave him power to enact the many conflict resolution tactics he was already familiar with. He began working with the Oromo and Amhara peoples in an attempt to bring them together and bridge gaps. His efforts brought these two colossal ethnic groups closer together, creating a political powerbase within the ethnically divided system of the country. He was also instrumental in his efforts to attempt to provide care for the estimated one million Oromos who were ousted from the Somali region during the unrest of 2017. By 2018, Dr. Abiy Ahmed and Lemma Megersa were considered by many pundits to be the most popular and respected politicians in the country. Despite this, there were constant calls for a complete overhaul of the stagnant Ethiopian political scene. The voices of protest were loud and clear: immediate change through political reform or a country marred by violence. "Unrest and a political crisis have led to the loss of lives and displacement of many. I see my resignation as vital in the bid to carry out reforms that would lead to sustainable peace and democracy,"
Desalegn’s resignation brought forth a fervently contested leadership election for the first time in EPRDF history. Pundits placed Lemma Megersa and Abiy Ahmed as favorites for the leadership position, but unfortunately Ethiopian law requires the Prime Minister to have served in parliament. Lemma, the overwhelmingly favorite of the public never served in parliament while Abiy had. So in a strategic bid made by the OPDO in order not to lose their chance of attaining the leadership position they sought, replaced Lemma with Abiy as Chairman of OPDO. The EPRDF, a coalition of four groups each sent in 45 members to vote for the next prime minister of Ethiopia. Abiy’s main competitor was the Amhara (AMDM) party’s leader Demeke Mekonnen, but in a move believed to be a show of support for Abiy’s bid, Demeke only a few hours before the election, dropped out. This left the Southern Peoples (SEPDM) leader Shiferaw Shigute and Tigray’s (TPLF) leader Debretsion Gebremichael as his competitors. On March 27, 2018, Abiy received 108 votes, while Shiferaw got 58 and Debretsion only 2. Six days later, Dr. Abiy Ahmed was made Prime Minister of Ethiopia by the House of Representatives and sworn in.